Cataracts are the most common cause of vision loss in people over 40. 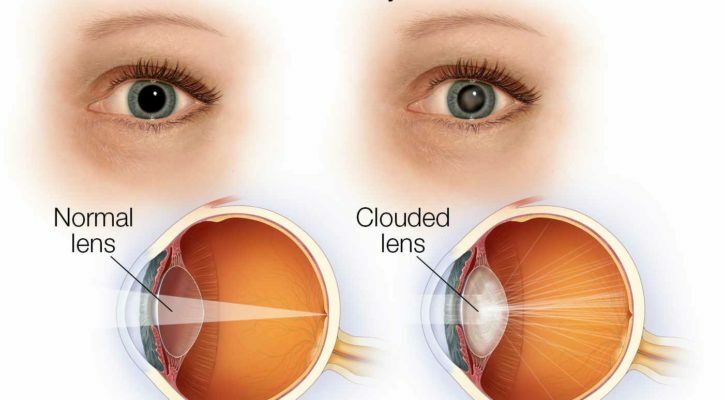 Cloudiness of the natural crystalline lens inside our eyes worsen over time due to exposure to UV light from the sun. To protect your eyes from early cataracts, we advise everybody to start wearing sunglasses at a very young age. Other causes include some medications and systemic medical conditions, such as diabetes and high blood pressure. Symptoms of cataracts include blurred vision even with optimal glasses prescription, increased glare at night time making driving extremely difficult, and decreasing night vision. Optic Gallery Sahara offers cataract evaluations as part of our comprehensive eye exam. This exam would include dilation of the eyes in order to obtain a good view of the entire crystalline lens inside the eyes. Dr. Cheung has extensive experience in cataract diagnosis and management. During her residency and throughout her career, she has co-managed thousands of cataract cases. There are many options when considering cataract surgery and our doctors will be happy to educate and discuss them with you at your cataract evaluation. Call our office today to schedule your comprehensive eye exam including cataract evaluation.